the Circus Devils movie from Todd Tobias’ website. He sent me an email thanking me for my interest in the band. a Circus Devils compilation he was selling at some point. with some of the band’s more “catchier” tracks. responding to the band like he thought they would. 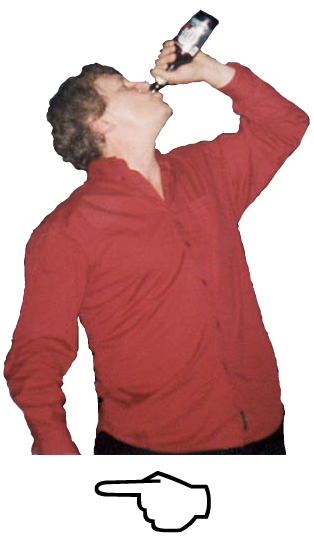 Circus Devils is Robert Pollard at his most adventurist. There is a part of me that has always like the weird stuff like the Residents. Circus Devils dip their foot into that kinda stuff and Metal, Ambient and Prog. records all of the music along with his brother and GBV alumni Tim Tobias. and a DVD with thirty-two music videos. For years I have been watching Circus Devils videos on YouTube. and the videos would all play, then start over and keep playing. I fell asleep and woke up a couple hours later. Had some pretty weird dreams. The videos are like that, weird, nightmarish and Fun! “Laugh’s Best: Best Of Circus Devils” is a light skimming of the bands 14 albums. “Laugh’s Best: Best Of Circus Devils” is a nice way to test the Circus Devils waters. But thankfully the video is included on the DVD. The cd and the DVD track listings differ. and that is probably a good idea, it gives you more songs. I like the song listing on the dvd more than the cd itself. is underrepresented on the cd, only the single and the B-side is included. plus many other great songs not on the cd. and it’s a damn great collection. I’ve got all of the albums; so I can always listen to them. 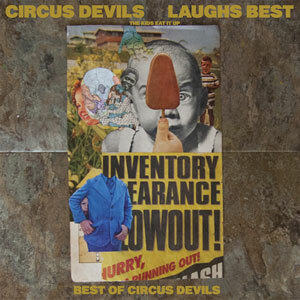 “Laugh’s Best: Best Of Circus Devils” is a great sampling of Circus Devils music. As we all know, Circus Devils is no more. completing this compilation of the band, releasing both albums on February 24, 2017. I really think that Circus Devils’ audience has yet to find them. There is a whole Psychedelic Rock thing really starting to pick up steam. Circus Devils could still have a post-breakup afterlife. (Yes I’m talking to you! ), order this from Rockathon’s website. It’s still available on cd and VINYL! Wait a Minute, WHATT!!! Still available on Vinyl??? I don’t freakin get it! And it comes with a DVD! I bet I can convert a few. Just a fan who thinks Circus Devils were Great!